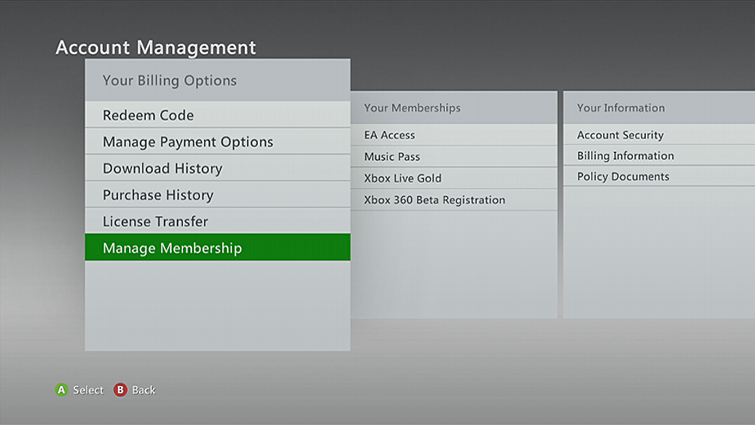 On your Xbox 360, sign in to the Microsoft account associated with the subscription you want to manage. To manage your child's subscription, you must sign in to your child's Microsoft account. Select Settings, and then select Account. Note You may be prompted to update or install the Internet Explorer app if it is not already installed and current on the console. Turn auto renewal on or off. Change how to pay for Xbox subscriptions. 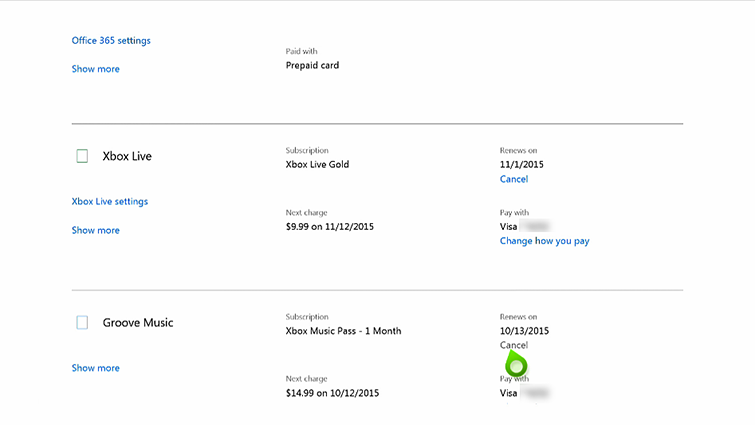 Use the Pay Now feature if your Xbox subscriptions are in decline. Check when your Xbox subscriptions expire or renew. See when the next renewal fee will be charged. If you need to cancel your subscription, change how you pay for your subscription, or immediately pay for a past-due subscription, select the applicable link and follow the instructions. Would you like to contact Support regarding the "Manage your subscription on Xbox 360" issue you were reading about or a different issue?